HCM City (VNA) - Vietnam ranks the fifth most optimistic country globally with an index score of 117 in the latest Consumer Confidence Index released by Nielsen, its highest score in the past five years and up five points from the last quarter of 2016. The report also finds that consumers in Southeast Asia continue to be among the world’s most confident. Despite decreasing by two points, the Philippines with 130 points has surpassed India with 121 points to become the most confident country in the world. Indonesia ranks fourth with a score of 122 while Thailand drops to 10th with 107. Confidence levels bounced back in Malaysia and Singapore, which score 94 and 89. Unlike last year, consumers in Vietnam are no longer the most avid savers globally. The study shows that 63 percent of Vietnamese put their spare cash into savings (compared to 76 percent in the previous quarter), following Thailand (69 percent), Singapore and Indonesia (66 percent). Consumers in Vietnam continue to spend more on big-ticket items. After covering essential living expenses, around one in three Vietnamese consumers are willing to spend on things like holidays (38 percent), new clothes (36 percent), new technology products (31 percent), home improvement (30 percent), and out of home entertainment (29 percent). Twenty three percent have medical insurance. 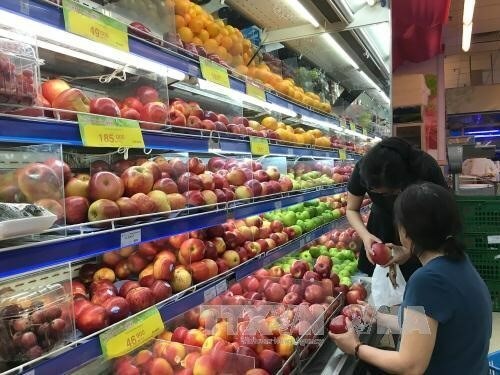 Nguyen Huong Quynh, managing director of Nielsen Vietnam, said: “In contrast to the volatility of the fast moving consumer goods market in the first half of the year, Vietnamese consumer sentiment is getting better. This upsurge is due to consumers’ optimistic perception of personal finances and immediate spending intentions. “Vietnamese consumers pay closer attention to what is happening, easily being influenced by word of mouth and social media, and quickly react, which makes them continuously evolving consumers. The top five concerns of Vietnamese consumers remain the same as in the last quarter of 2016. Job security continues to top the list at 48 percent, followed by health (38 percent), work/life balance (25 percent), the economy (20 percent), and parents’ welfare and happiness (17 percent). “While consumers continue to be upbeat about their future, financial security remains one of their top priorities,” Quynh said. “Both job security and economic outlook have a direct impact on consumers’ degree of financial security, and hence remain key concerns.